A simple, delicious and filling traditional Bircher Muesli - with a rich coffee twist! 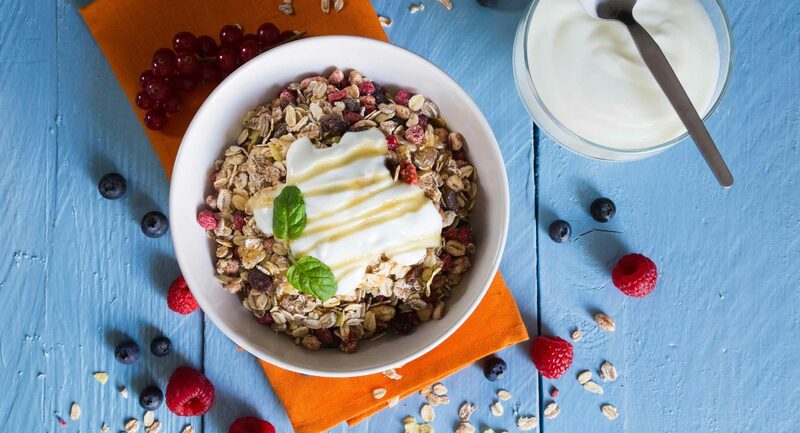 Bircher Muesli was first crafted in the early 1900's by Swiss physician Maximilian Bircher-Benner as an essential part of his patient’s therapy. Still to this day Bircher is great healthy alternative to cereals. It’s rich in nutrients and a slow burner, meaning the wholegrains release energy over a longer period of time, powering you through your busy day. 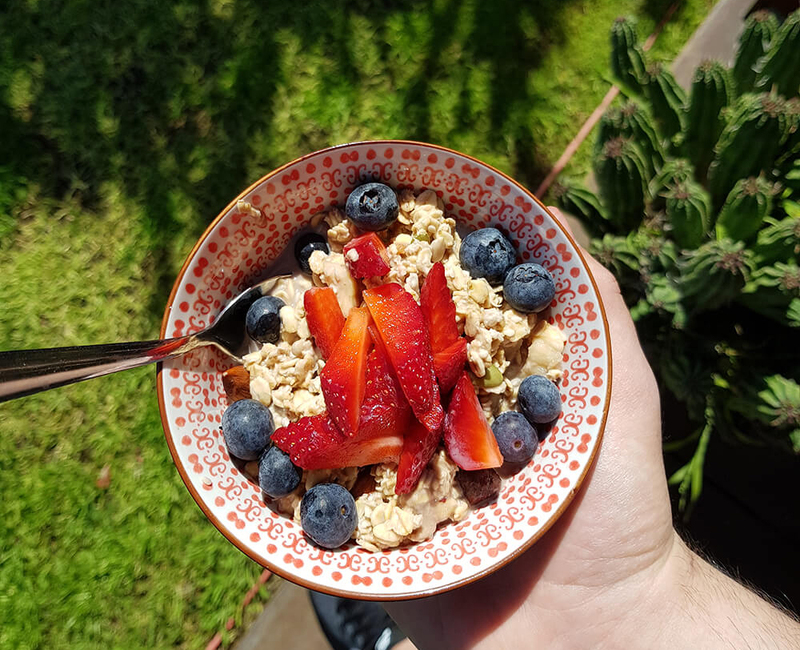 Our simple recipe idea uses unsweetened cold brew almond milk for a rich bitter coffee taste, that’s why we recommend using fruits such as strawberries and blueberries - to balance out the contrasting flavours. And for a bonus burst of nutrients, we also added a handful of walnuts and almonds for a dose of protein and omega 3. 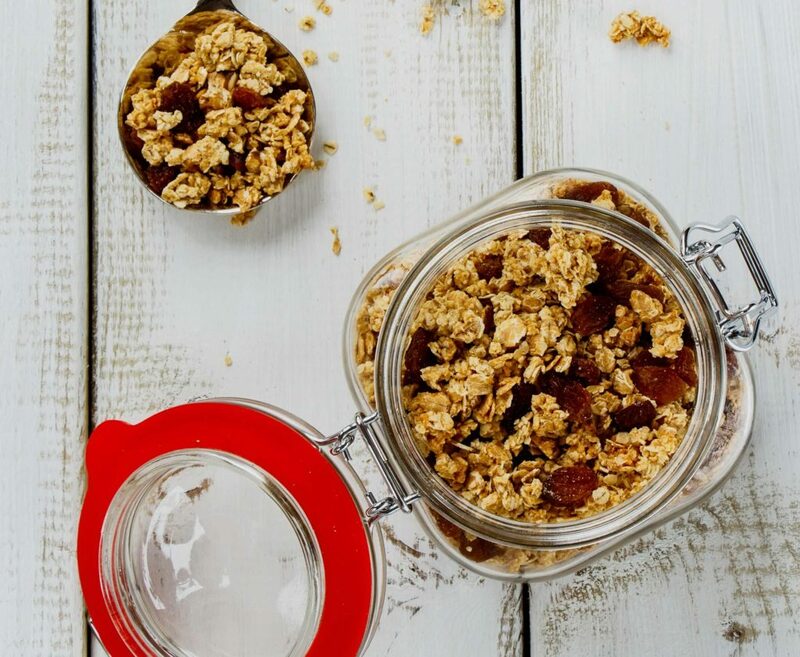 Add the Bircher Muesli into a small bowl or container, and fill it with Cold Brew Almond Milk until it is completely submerged – then cover it and soak overnight in the fridge. In the morning top with walnuts, almonds, sliced strawberries, and blue berries. Enjoy! The best thing about this recipe is it’s just a simple guide that you can experiment with and tailor to suit your preferences - Add whatever is left in the fruit bowl or pantry and discover your favourite breakfast flavours. The best thing about this recipe is it’s just a simple guide that you can experiment with and tailor to suit your preferences - Add whatever is left in the fruit bowl or pantry and discover your favourite breakfast flavours.